This is must see theatre! 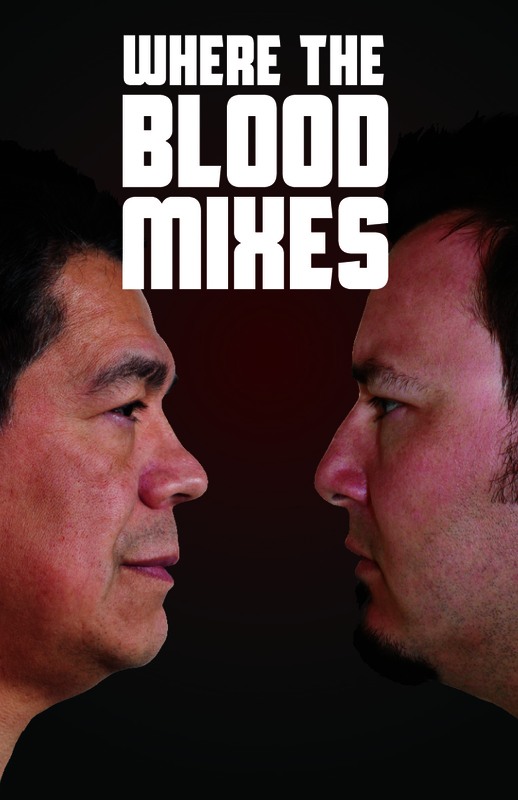 Irreverently funny and brutally honest, Where the Blood Mixes is an extremely moving story of loss and redemption. Caught in a shadowy pool of alcoholic pain and guilt, Floyd is a man who has lost everyone he holds most dear. Now after more than two decades, his daughter Christine, who had been adopted by a white family, returns home to meet and confront her father. Where the Blood Mixes takes us beyond the headlines to a deeply personal story about humanity and survival. This entry was posted in Acting, All, Theatre and tagged bradley moss, chilliwack, chilliwack cultural centre, craig lauzon, governor general award, governor general award winning play, literary award, Lorne Cardinal, lytton bc, michaela washburn, residential school, robert benz, roxy theatre, sera-lys mcarthur, theatre, theatre network. Bookmark the permalink.